We were delighted by the public’s response to a guided walk through this lovely area which is currently proposed for development. Hitchin Town Action Group, established by four groups in Hitchin, The Hitchin Society, Hitchin Forum, Hitchin Historical Society and Hitchin Initiative, organised the walk through the area known locally as ‘Priory Fields’ to highlight the immense threat its development for housing holds for the town. The area spans 120 acres of arable fields and meadows in the green belt between the villages of Charlton and Gosmore and south of Park Way, the town’s bypass. It is currently designated to take over 1000 dwellings; the reality is that this is an unrealistically low density for development these days. 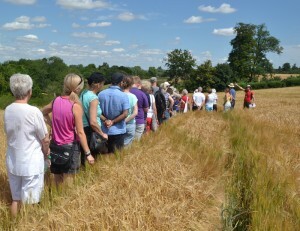 300 people turned up on Sunday, 27th July and whilst walking the area, heard about its historical significance, its recreational importance and its landscape beauty from those guiding the walk. Walkers were aged 8 months to nearly 80 years, with many young people and young families joining in. We were delighted with the turn-out and the level of questioning and comments about the impact such a development would have on Hitchin. Photos of the event are here – thanks to all who supplied them.. 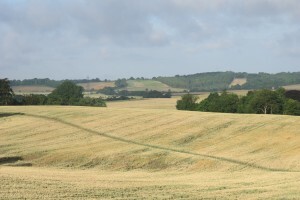 These proposals have been formulated by North Herts District Council during their Strategic Housing Land Availability Assessment in preparation for the forthcoming Local Plan which will guide where development (current estimates are for 12,000 dwellings by 2031) can take place in the district. We must accept there has to be further housing built in and around Hitchin, and some will be on green belt because of the scale of green belt land in the district, but it is crucial that people let their councillors know how they feel about these particular proposals. 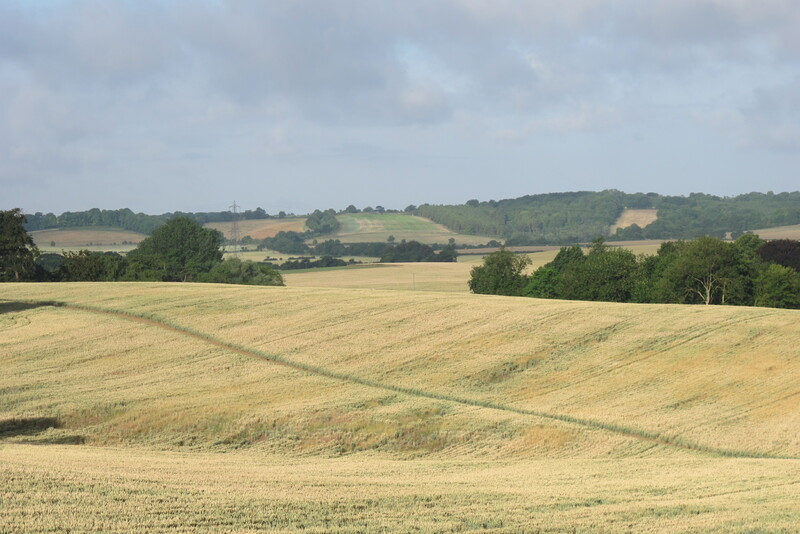 Many people value and actively use this area as a ‘green lung’ for Hitchin with its many footpaths and wide open views to the delightful Chiltern Hills and its Area of Outstanding Natural Beauty. However, most people don’t realise how integral this area is to Hitchin’s historic character, with ancient connections to the Radcliffe family and Hitchin. The guided walk helped to give people a different perspective on the land in question and we were hugely encouraged at the show of support for keeping this area as open recreational land. We needed North Herts District Councillors to agree that this area is vital to the quality of life of Hitchin people as well as maintaining the separate identities of the villages of Gosmore and Charlton, and they have!